Rounds 5 & 6 Reports: Korea’s Hyunjae Choi is an extremely quiet person. 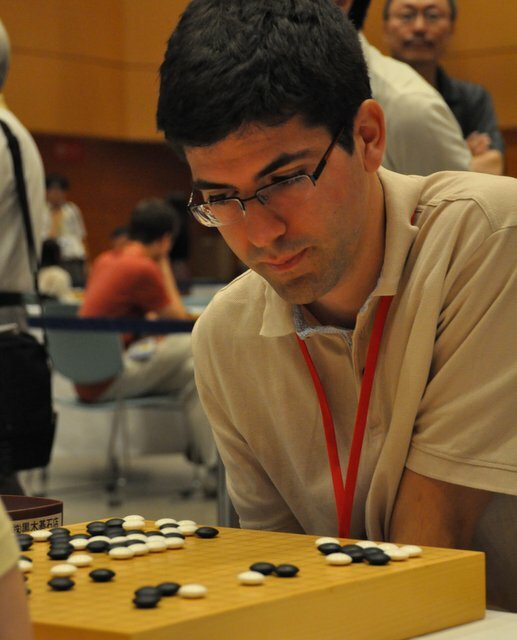 Drawing the black stones, he played the first move of the China-Korea game on the 3-4 point without making a sound, then pressed the clock button, equally noiselessly… Click here to read James Davies’ complete reports on Round 5 and Round 6. 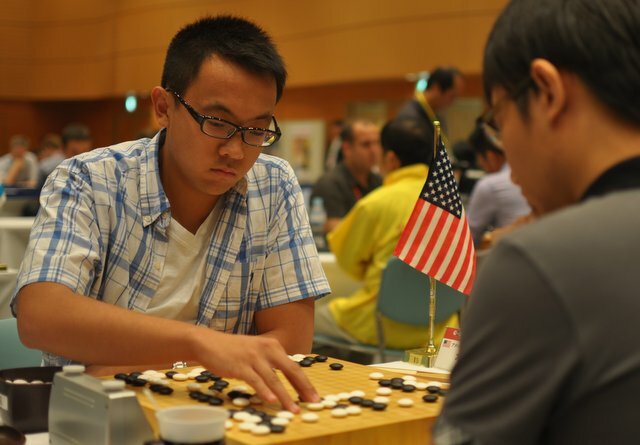 Jia Cheng Tan of Singapore not only misses a chance to take a territorial lead at a key moment, but then overlooks a fatal weakness in his shape that costs him the game against Curtis Tang of the U.S. Commentary by Michael Redmond 9P, edited by Chris Garlock. Photo by John Pinkerton. Click here for the commentary. 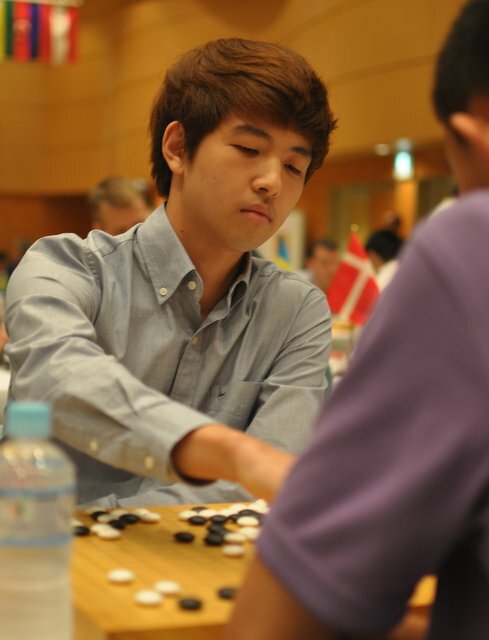 Canada’s Bill (Tianyu) Lin doesn’t make any major mistakes in this undramatic game, yet Hyunjae Choi of Korea slowly but surely pulls ahead, building up an insurmountable lead. Commentary by Michael Redmond 9P, edited by Chris Garlock. Photo by John Pinkerton. Click here for the game commentary. 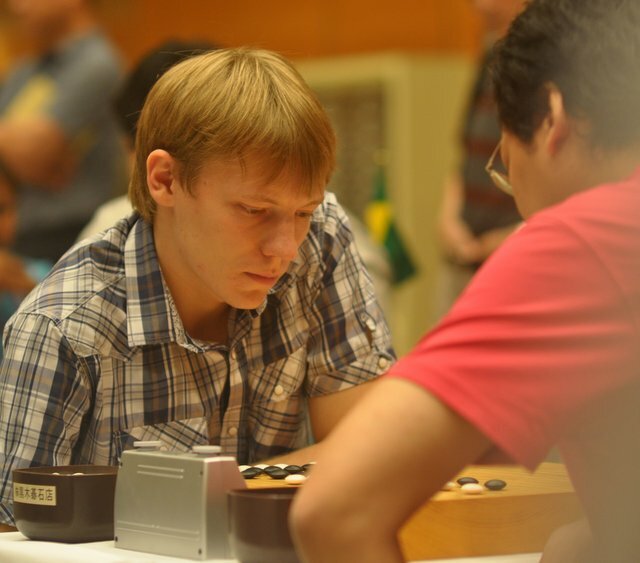 A fast but thin move early on by Ilya Shikshin (Russia) 7d sets off a cascading series of fierce battles in which the attack changes hands several times. 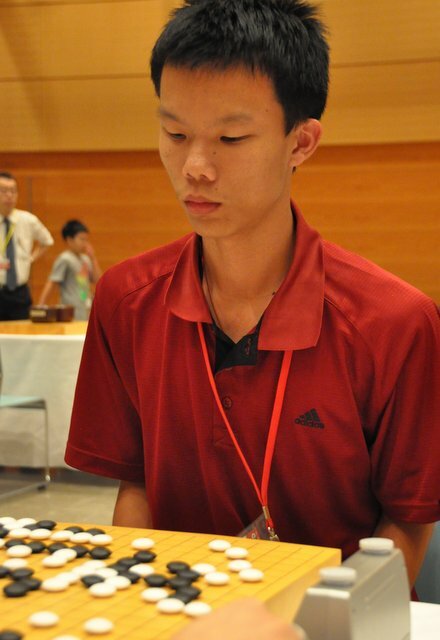 A good example of the kind of sustained concentration necessary for top-level play, even at amateur levels. Commentary by Michael Redmond 9p, edited by Chris Garlock. Photo by John Pinkerton. Click here for the commentary. This game features an unorthodox opening by Sebastian Mualim 4d (Indonesia) that actually works fairly well up to a point. Commentary by Michael Redmond 9p, edited by Chris Garlock. Photo by John Pinkerton. Click here for the commentary. In this game, though Thiago Shinji Shimada Ramos (Brazil) 3d makes no major errors, by move 72 Lucas Neirynck (Belgium) 4d has established a clear lead; here’s how. Commentary by Michael Redmond 9P, transcribed by Chris Garlock. Photo by John Pinkerton. Click here for the commentary. What Else Would You Be Doing Today? Jogging…playing soccer…painting…swimming…Mario Miguel Agüero Obando 1k (Costa Rica), Santiago Quijano Novoa 3D (Colombia) and Bill Tianyu Lin 7D (Canada) reveal what they’d be doing if they weren’t playing go. Click here for John Richardson’s report; photos by John Pinkerton. PLUS: Interviews with Romania’s Cornel Burzo and Erick Javier of the Philippines; Bacon, Eggs and Anti-Doping: Irish player James Hutchinson shares his thoughts on go as a sport, and new measures to prevent cheating.